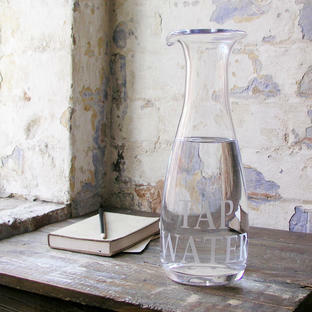 Simple everyday ceramic water jug. 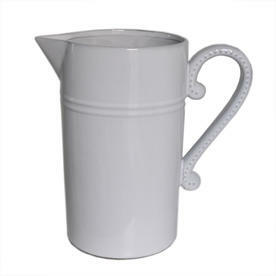 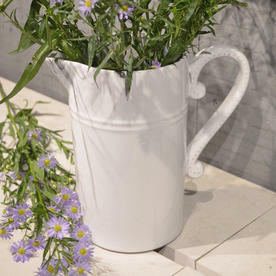 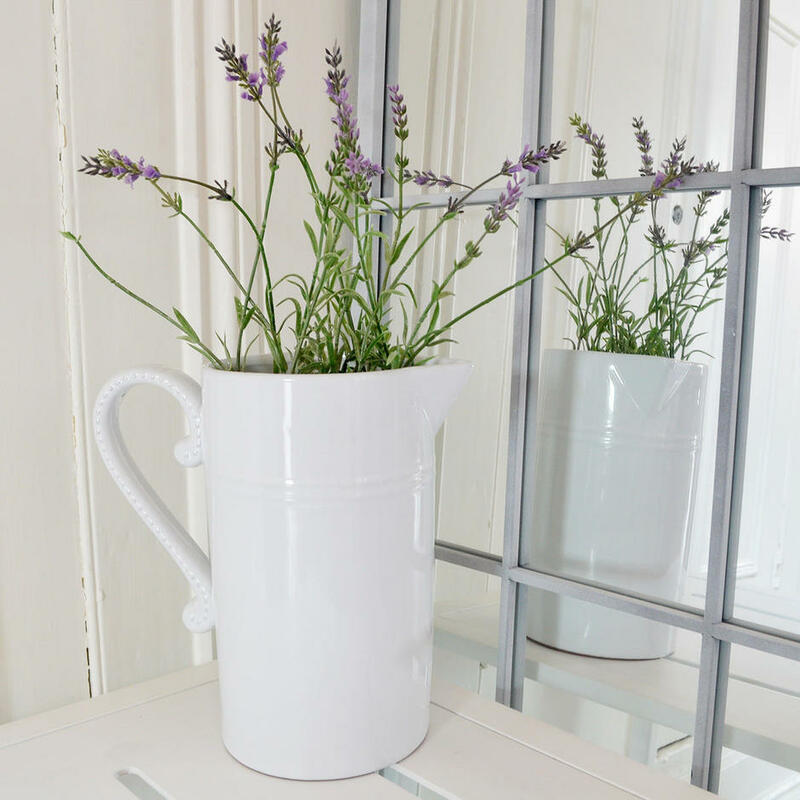 Versatile, white ceramic water jug is suitable for everyday use, through to summer alfresco parties in the garden, under dappled shade. 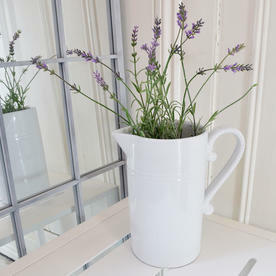 Also, perfect as a vase with some informal country flowers popped in!